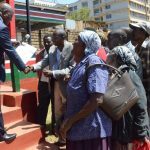 There was excitement in Nyeri town as families and guardians of Nyeri bright needy students received the Elimu Fund Bursary cheques on Wednesday 13th March 2019. Nyeri Governor H.E. Mutahi Kahiga started the disbursement of the Sh 100 million bursary kitty to the students. The kitty was initially Sh 40 million but the Governor has since increased the funds to Sh 100 million to ensure more students benefit for a bright future. 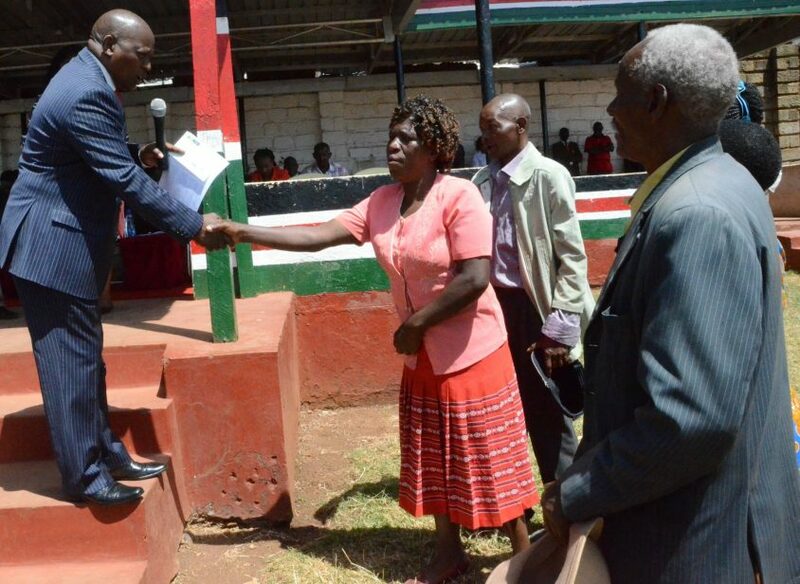 The Governor started issuing the cheques at Dedan Kimathi Kamukunji stadium, Nyeri Town Sub County before moving to Wamagana in Tetu sub- county. 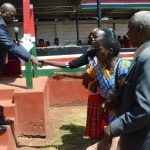 He later visited Othaya Sub County at Othaya stadium. The Governor consequently issued bursary cheques at Kiriti stadium, Mukurwe-ini, Mathira East (at Railway ground) and Mathira West (at Kaiyaba stadium) the following day on 14th March 2019 . 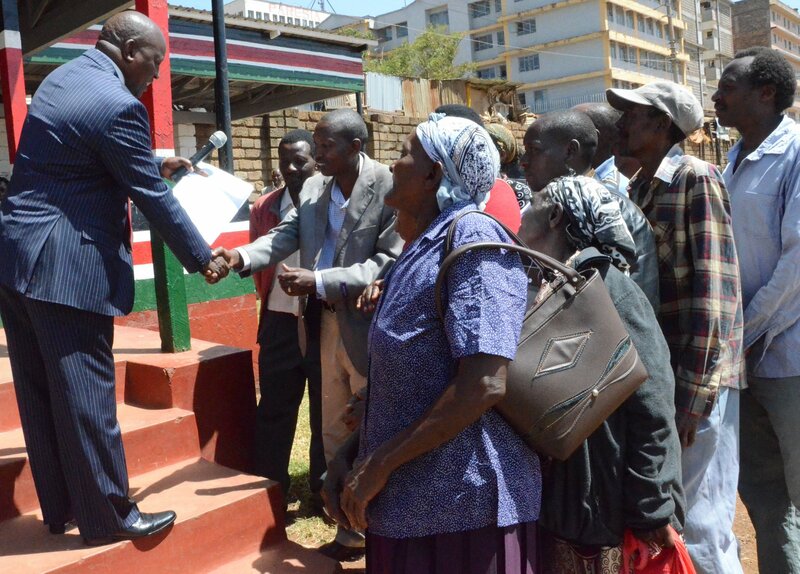 On Friday, he will issue cheques in Kieni West (at Lamuria Dairy Society ground) and Kieni East (at Narumoru stadium). 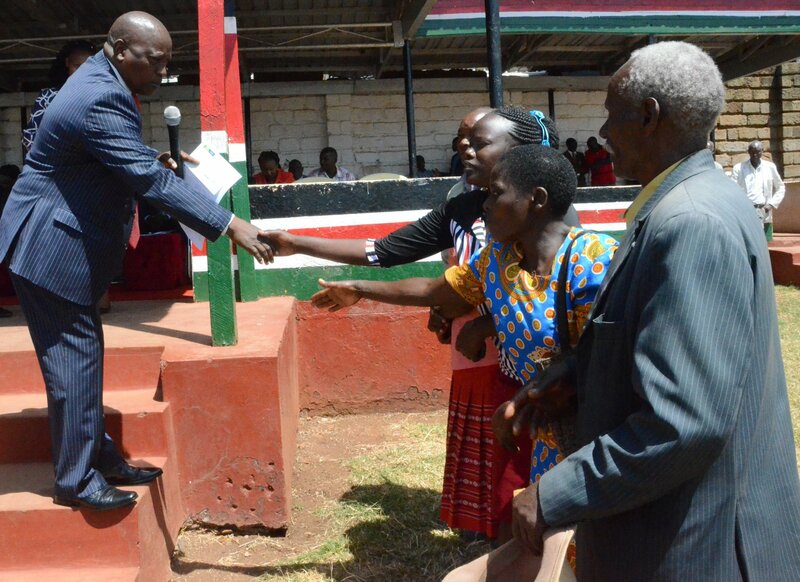 Each student received a minimum of Sh 5,000 with each of the 30 wards receiving a minimum of Sh 2.83 million. 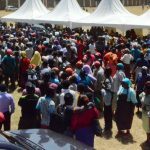 While thanking the County Government of Nyeri for the initiative, the beneficiaries lauded the vetting exercise which was done earlier saying it was transparent, conducted openly and done in an orderly manner. At the same time, the County Government of Nyeri has initiated another programme of Governor’s Bursary Scheme which will ensure that the best bright needy girl and the best bright needy boy per ward receive full scholarship from the county Government. In addition ,Governor said that the 60 students(2 per ward) will fully be sponsored to Form IV. The students under this programme have also started receiving the cheques from the governor. These students must however achieve more than 350 marks. He was joined by Education CEC Margaret Macharia, Chief Officer Simon Wachira, Economic advisor Ndirangu Gachunia, Rware ward MCA Hon Paul Kanyari and Mathari /Kihuyo MCA Hon Muthoni Kuruga.